Independent online news outlet Naij.com was found blocked in November 2017, along with 20 other websites, many of which promoted the independence of the Biafra region (see Blocking and Filtering). The Senate proposed a broadly worded hate speech bill in March 2018 that critics worry could be used by the government to silence online dissent (see Legal Environment). The Digital Rights and Freedom Bill passed at the House of Representatives in December 2017 and the Senate in March 2018; it now only requires the president’s assent before becoming law (see Legal Environment). Online journalists and activists were subject to increasing extralegal harassment and intimidation for their activities (see Intimidation and Violence). Internet freedom in Nigeria declined in the past year due to unprecedented blocks on 21 websites, including an independent online news outlet, as well as growing intimidation and violence against journalists and activists for their online activities. The continual arrests of journalists and bloggers also remained a concern. With the approach of the 2019 national elections, civil society leaders and members of opposition parties have expressed concern about further crackdowns on internet freedom, despite assurances from the government that it supports media rights. In November 2017, it was revealed that service providers had blocked 21 websites, including the popular Naij.com news outlet, at the request of the telecommunications regulator, the Nigerian Communications Commission (NCC); the blocking order had apparently come at the behest of the national security adviser. Many of the blocked sites promote the independence of Biafra, the region that attempted to secede from Nigeria in 1967 and fought against the federal government in the Biafran War. The move raised concerns that the websites of opposition parties and NGOs could be blocked during the 2019 election campaign period. Internet freedom advocates believe that a broadly worded hate speech bill proposed by the Senate in March 2018 could be used by the government to silence online dissent; the bill prescribes the death penalty for speech that leads to a person’s death. While the bill has been met with strong opposition, it is one of many recent proposals to clamp down on free speech at a moment when citizens are increasingly using online tools to defend democracy. In the face of government pressure, citizens are using online platforms to advocate for better governance. Online campaigns, including the social media campaign that followed the kidnapping of more than 100 schoolgirls from Yobe state in February 2018, highlight the continued resilience and dynamism of human rights activists. Persistent civil society advocacy has succeeded in pushing forward the Digital Rights and Freedom Bill first proposed in April 2015. Passed at the House of Representatives in December 2017 and the Senate in March 2018, the bill now only requires the president’s assent before becoming law. If passed, the law will guarantee the application of human rights within the digital environment and promote the freedoms of expression, assembly, and association online, among other impacts on internet freedom. Access to the internet on mobile devices continues to become more affordable. The regulator’s order to ISPs to block 21 websites at the behest of the national security adviser calls the regulator’s independence into question. Nigeria has one of the largest populations of internet users in sub-Saharan Africa, with over 89 million citizens online. According to the latest data from the International Telecommunications Union (ITU), Nigeria’s internet penetration rate was 26 percent in 2016.1 Most of the growth in internet use can be attributed to the proliferation of mobile phone services. As of December 2017, the sector regulator reported a mobile phone teledensity of 103 percent and nearly 145 million active mobile internet subscriptions on GSM networks.2 The ITU documented a lower mobile phone penetration rate of 83 percent in 2016.3 The government’s National Broadband Plan (2013-2018) has set a 30 percent target for broadband penetration, which the country has made incremental progress toward achieving. Increasing access to the internet is driven by affordable data services for mobile subscribers. The Alliance for an Affordable Internet ranked Nigeria the 13th most affordable internet environment among 58 developing and emerging countries assessed in its 2017 Affordability Drivers Index.4 As of February 2018, mobile internet plans remain very popular, with 1.5 gigabytes of data available for USD $3.28. In 2017, the average cost of a GSM plan was USD $0.02 per megabyte of data,5 compared to $0.05 per megabyte in 2016, $0.26 per megabyte in 2015, and $1.00 per megabyte in 2011. Nevertheless, costs are still a major impediment to internet access for many Nigerians in rural areas. In March 2016, the government introduced the Communication Service Tax Bill 2015, which, if passed, will decrease the affordability of internet access by imposing a 9 percent tax on consumers for communications services, such as SMS, data, and voice services.6 The bill was still under consideration in 2018 despite its unpopularity among various stakeholders. Power cuts frequently disrupt service and access, despite Nigeria’s status as an oil-rich country. Nigerian households reported slight improvements in electricity access in recent years, receiving an average of ten hours of power supply per day in February 2017, up from less than six hours the previous year.7 Those with the financial wherewithal are able to rely on private generators and standby battery-powered inverter systems to stay online during outages. Shortfalls in the power supply also undermine the quality of internet service offered by providers. Telecommunications base stations in Nigeria are typically powered by diesel generators, which reportedly account for 80 percent of their operating expenses.8 Separately, the need to pay for expensive backup power generators has accelerated the closure of cybercafés that were already struggling with competition against the growing popularity of internet access on mobile devices. Another major obstacle to internet access in Nigeria is language literacy. While Nigeria is home to over 500 local languages,10 most internet content is in English, and local language content is vastly underrepresented. For example, the Wikipedia pages in the three major Nigerian languages of Yoruba, Hausa, and Igbo are sparsely developed. 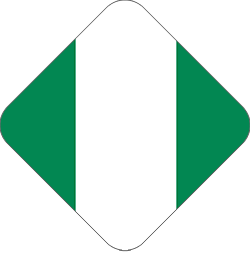 Wikipedia entries on Nigerian topics are often edited by individuals who do not reside in Africa.11 Local language resources, such as audio and video health and educational materials, come with higher data requirements, potentially limiting access for users who can afford less data, yet stand to benefit the most from educational materials online. There were no restrictions on connectivity to the internet or mobile networks during the coverage period. Mobile network restrictions were last reported in 2014 and 2015 in three northern states during a state of emergency in the fight against Boko Haram. Until recently, the NCC had a reputation for being relatively independent. However, during the coverage period, some of the NCC’s actions, including blocking orders it conveyed to licensed operators on behalf of the national security adviser, cast a shadow over the body’s perceived independence (see Blocking and Filtering). Independent online news outlet Naij.com was found blocked in November 2017, along with 20 other websites, many of which promoted the independence of the Biafra region. The blocking order lacked transparency. Online campaigns highlight the continued resilience and dynamism of human rights activists. In November 2017, it was revealed that service providers blocked 21 websites, including the popular Naij.com online news outlet, at the request of the NCC.21 Many of the blocked sites promote the independence of Biafra, the region that attempted to secede from Nigeria in 1967 and fought against the federal government in the Biafran War. Although access to Naij.com was eventually restored, as of April 2018, at least 15 of the websites remained blocked.22 The NCC’s actions have raised concerns that the websites of opposition parties and critical NGOs could be blocked during the 2019 election campaign period. YouTube, Facebook, Twitter, WhatsApp, and other communications platforms are freely available and widely used.23 The complex nature of Nigeria’s internet infrastructure makes it difficult to carry out systematic filtering or censorship. In recent years, a few high-level government officials have called for a clampdown on social media in response to the growing influence of critical commentary on the internet,24 sparking fears of impending online censorship.25 Legislative proposals have added weight to those fears. The Frivolous Petitions Prohibition Bill introduced in 2015 sought to penalize expression on social media, though it was withdrawn in May 2016. Meanwhile, the Cybercrime Act, which was signed into law in May 2015, has been used to arrest bloggers for critical content in the past year (see Legal Environment, and Prosecutions and Detentions for Online Content). Nigeria is home to a diverse blogosphere, which has become a source of reliable news for many users, and provides space for vibrant debate on a broad array of political and social issues. Popular blogging platforms include Medium, Blogger, and WordPress. Diverse political viewpoints are represented on Nigerian websites and blogs, though some independent online media outlets faced a backlash under previous governments. Government manipulation was not reported during the period, but as the 2019 elections approach, observers worry that online propaganda and manipulation could be employed to gain a political advantage among voters. A broadly worded hate speech bill proposed in March 2018 could be used by the government to silence online dissent. The Digital Rights and Freedom Bill passed at the House of Representatives in December 2017 and the Senate in March 2018; it now only requires the president’s assent before becoming law. Several arrests were reported for online activities, while intimidation and violence against journalists and activists increased. A coalition of civil society organizations led by Paradigm Initiative, a digital rights organization, filed a suit to challenge the constitutionality of sections 24 and 38 of the cybercrime law in May 2016.31 However, a judge dismissed the case in a January 2017 ruling. The coalition filed an appeal on May 3, 2017 challenging the judge’s decision. Paradigm Initiative has also led efforts to codify protections for internet freedom through the introduction of the draft Digital Rights and Freedom Bill in April 2015. Sponsored by lawmaker Chukwuemeka Ujam, the bill was passed at the House of Representatives in December 201732 and the Senate in March 2018. The bill now only requires the president’s assent before becoming law. The bill’s objectives are to guarantee the fundamental privacy rights of citizens and define the legal framework regarding surveillance; promote the freedoms of expression, assembly, and association online; outline the provisions of lawful and authorized interception of communications within the digital environment without sacrificing the freedom and constitutional rights of citizens; guarantee the application of human rights within the digital environment; provide sufficient safeguards against online abuse and provide opportunity for redress; and equip the judiciary with the necessary legal framework to protect human rights online. If signed by the president, the bill will provide a comprehensive data privacy and protection framework and make internet shutdowns illegal. Internet freedom advocates have raised concerns that a broadly worded draft hate speech bill proposed by the Senate in March 2018 will be used by the government to silence the online activities of opposition critics and NGOs; the bill prescribes the death penalty for speech that leads to a person’s death. The bill, sponsored by Senator Aliyu Sabi Abdullahi, a member of the president’s party, ostensibly seeks to eliminate “hate speech and discourage harassment on the grounds of ethnicity, religion or race among others” and, among its provisions, states that “any person who uses, publishes, presents, produces, plays, provides, distributes and/or directs the performance of any material, written and/or visual, which is threatening, abusive or insulting or involves the use of threatening, abusive or insulting words, commits an offence.”33 While the bill has been met with strong opposition, it is one of many recent proposals to clamp down on free speech in a moment when citizens are increasingly using online tools to defend democracy. As of May 31, 2018, the bill had not yet been voted on in the Senate. The government’s intent to enhance its surveillance capabilities is reflected in its federal budget, which in 2018 allocated NGN 4.6 billion (US $12.8 million) to “Stranvisky Project 2 (Ongoing),41” an ONSA project that was allocated NGN 13.9 billion (US $45.6 million) in 2017.42 Observers believe the project is for new surveillance technology. Other line items in the 2018 budget for the ONSA and Department of State Security include the “DSS Social Media Mining Suit,” with an allocation of NGN 2.2 billion, “Wolverme Next Generation SDRIMSI” with a provision of NGN 1 billion, “Surveillance Drone” with a budget provision of NGN 1 billion, and “Mobile Surveillance Facilities” with NGN 240 million allocated, among others.43 As of May 2018, the purpose of these budget items was unclear, as well as their current status. Government officials frequently assert that new technology to fight the Boko Haram terrorist group is necessary. Data localization is mandated under the Guidelines for Nigerian Content Development in Information and Communications Technology, issued by the Nigerian National Information Technology Development Agency (NITDA) in 2013. The guidelines require ICT companies to “host all subscriber and consumer data locally within the country.”50 The stated aim was to boost local content and ICT development, but the requirement risks compromising user privacy and security, given the absence of adequate data protection laws.51 The extent to which the guidelines have been enforced remained unclear as of 2018, as there have been no reports that international ICT companies have been compelled to comply. In June 2017, Charles Otu, a local journalist, was assaulted by a mob in Abakaliki for making Facebook comments critical of the Ebonyi state government.64 Separately in June 2017, Franc Utoo, a former opposition politician and social activist, was reportedly abducted by unknown gunmen in Abuja after sending insulting text messages to Abba Yaro, chairman of the Benue state All Progressives Congress (APC).65 Police later confirmed that Utoo was in their hands under arrest. Cyberattacks against news websites, civil society, and human rights activists were not reported in Nigeria during the coverage period. 24 On July 26, 2012, the President of the Senate of the Federal Republic of Nigeria, third in command after the president and vice president, called for a clampdown on the use of social media in Nigeria while speaking at a media retreat. Government representatives from the Oyo State House of Assembly made similar declarations in 2012. Phillip Eta, “Clamp down on Social Media now! ‘It is now an avenue for abusing government,’ – David Mark,” Daily Post, July 28, 2012, http://bit.ly/1NeOwR3. 25 Hauwa Gambo, “Get ready, guys: Legislator wants law against “abuse” of social media,” YNaija, November 2, 2012, http://bit.ly/1GfDV8T. 43 “2018 FGN Budget Proposal,” Federal Government of Nigeria, accessed September 25, 2018. 46 Cybercrimes (Prohibition, Prevention, ETC) Act, 2015, Section 38. 47 According to Section 38(4): “Any data retained, processed or retrieved by the service provider at the request of any law enforcement agency under this Act shall not be utilized except for legitimate purposes as may be provided for under this Act, any other legislation, regulation or by an order of a court of competent jurisdiction” (emphasis added). Cybercrimes (Prohibition, Prevention, ETC) Act, 2015, http://bit.ly/1LHHhTh. 52 “Draft Lawful Interception of Communication Regulations,” Nigeria Communications Commission, http://bit.ly/1du7UKO; Ojo Madueke, “Revealed: SSS, Police Have Powers to Tap Phone Lines,” This Day Live, January 30, 2013, http://bit.ly/1hH90GJ; Clement Ejiofor, “Mind That Conversation: Security Operatives To Tap Phones, Track E-mail,” Naij, February 5, 2013, http://bit.ly/1VUWPsL; Ken Nwogbo, “SSS, Police Get Powers to Tap Phones,” Nigeria Communications Week, January 29, 2013, http://bit.ly/1RdfTfd. 54 Kunle Azeez, “Concerns over proposed lawful interception law,” National Mirror Online, May 23, 2013, http://bit.ly/1kARPa1; Katie Collins, “Nigeria embarks on mobile phone surveillance project,” Wired UK, September 4, 2013, http://bit.ly/1PvCpl2; John Dada and Theresa Tafida, “Online surveillance: Public concerns ignored in Nigeria,” in Communications Surveillance in the digital age 2014, Global Information Society Watch, http://bit.ly/1PjVGXy. 58 When the author of this report asked for the state of the surveillance system during the Internet Freedom Forum 2016, the representative of the National Security Adviser said he was not aware of any such project. 62 Cybercrimes (Prohibition, Prevention, ETC) Act, 2015, Section 7.